Getting a season pass used to be fairly simple. 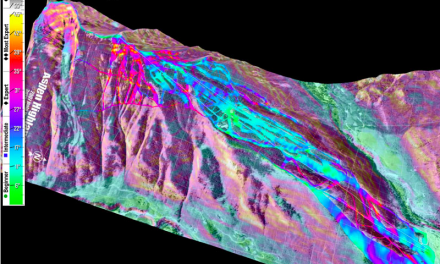 You decided which mountain you’d ski the most, handed over your credit card, and that was that. Easy peasy. Lately it’s become a lot more complicated. Ski resorts have teamed up to offer joint passes that are good at multiple locations. On the upside, these can save you a lot of money. With daily lift passes at many resorts well above $100., the pay-off comes pretty fast. The catch is figuring out which pass is best for you. You pretty much have to 1) decide on next year’s ski plans a year in advance and 2) have a ph.d in Math, like my son-in-law, to figure out which one makes most financial sense. So here’s a limited compilation about what’s out there. Rocky Mountain Super Pass: Unlimited skiing at Winter Park, Copper Mountain and Eldora with six days at Steamboat and three days at Crested Butte Mountain Resort. You also get 7 days at four resorts in Japan and two in New Zealand. The price is $529. for adults, through April 11. That’s up from $499 for 2016-17. And for a second year in a row the Rocky Mountain Super Pass provides a free kids pass (12 and younger) with the purchase of an adult pass. The Epic Pass: For $859., you get unlimited skiing at 11 major resorts, including Colorado’s Vail, Beaver Creek, Breckenridge, Keystone and Arapahoe Basin, as well as 30 European resorts across Austria, France, Italy, and Switzerland. You also get six Buddy Tickets if you buy before April 9, and six Ski-With-A-Friend tickets at varying discounts, which are automatically loaded onto your pass. • 2017 Summer Scenic Access. The Summit Local Pass, Unlimited skiing or riding at Keystone and Arapahoe Basin with limited restrictions at Breckenridge. Same side benefits as above. $529. for adults. The Tahoe Local Pass, Unlimited skiing or riding at Heavenly, Northstar and Kirkwood 7 days a week, with limited holiday restrictions. Saturdays included at all resorts. It also includes 5 total restricted days at Vail, Beaver Creek, Breckenridge, Keystone, Park City or Arapahoe Basin. Powder Alliance: Buy an anytime season pass to any of 15 areas and receive three free days at all the rest. 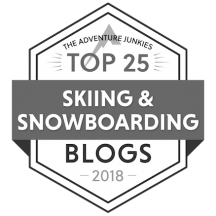 Powder Alliance Resorts include Angel Fire, Arizona Snow Bowl, Bridger Bowl, China Peak, Crested Butte, Kiroro, Mountain High, Mount Hood, Schweitzer, Silver Bowl, Sierra at Tahoe, Snowbasin, Stevens, Timberline, Whitewater, Wild West Powder Quest. Mountain Collective Pass: The MCP gives you two days at a wide range of ski resorts (and for a limited time, three days at the mountain of your choice). New for ’17/’18, Utah’s Snowbasin and Vermont’s Sugarbush, which replace the Vail-incorporated Whistler and Stowe. The collection of independent ski areas includes Aspen-Snowmass, Alta, Banff Sunshine, Jackson Hole, Snowbasin, Snowbird, Squaw Valley-Alpine Meadows, Sugarbush, Sun Valley, Taos, Telluride; in Canada, Banff Sunshine, Lake Louise, Revelstoke;, and in the Southern Hemisphere, Thredbo and Coronet Peak-The Remarkables. This year the Mountain Collective splits Alta and Snowbird into two resorts, offering two days at each and offers the same deal at Canada’s Banff Sunshine and Lake Louise ski areas. The price: $399. For a limited time, you can get $1 passes for kids 12 and younger with the purchase of an adult pass. Ski Utah Silver and Gold Passes: These are a bit costly, but if that’s what you want, who am I to judge? The Ski Utah Silver Pass allows the holder to ski for 30 days at each of 14 Utah ski resorts (30 days at Alta, 30 days at Deer Valley, 30 days at Sundance, etc. 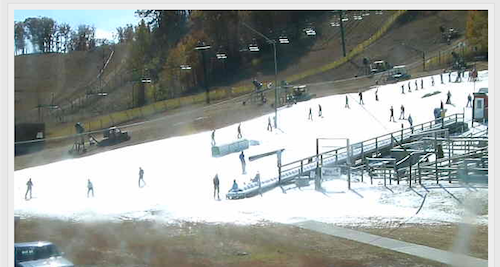 ), except for Park City, where it’s valid for 60 days of skiing. The price? $3,150 The Ski Utah Gold Pass offers 50 days of skiing at each Utah resort, except for Park City, where it’s valid for 100 days; however, the pass is also fully transferable pass so your friends and family can enjoy your same privileges on the days you’re not using the pass. A cool $4,800. The Gold Tahoe Super Pass: Worried about buying a season pass and not using it? Here’s one with a worry-free guarantee. The Gold Tahoe Super Pass gives credits for unused days that can be put towards the following season. Skiers get unlimited access to Squaw Valley/Alpine Meadows, plus 2 free days at Zermatt, Switzerland, and unlimited 50% discounts on lift tickets at Mountain Collective resorts. But if you’re unable to ski at least five days during the upcoming season for any reason (not just poor conditions) on your 2017-18 Tahoe Super Pass, they’ll credit you up to 4 days towards your 2018-19 pass when you purchase a Gold or Silver pass. $869. til April 18. Cali4nia Pass: One pass covers Mammoth, Bear, June, and Snow Summit. There’s a host of benefits when you buy early, including 5 exclusive Early Up events at Mammoth, 5 Bring-A-Friend tickets, 10% off rentals, 10% off retail when you spend more than $100., and up to 20% off lodging at Mammoth Lodging Collection properties. $749. through April 3. Ski Roundtop/Liberty Mountain/Whitetail Pass: Includes unlimited access to Ski Roundtop, Liberty Mountain, Whitetail Resorts. You also get 30 minutes early lift access Thursday through Sunday, preferred parking at Roundtop on weekends and holidays until 5PM, 50% off regular class lessons, two snow tubing tickets valid Monday through Thursday non-holiday, one free Learn to Ski or Board Package for a friend, special hotel rates at the Liberty Hotel, 15% discount in the sports shops, and 50% off midweek/non peak tickets at Mountains of Distinction resorts. $469. for adults. White Mountain Superpass: Valid every day of the 2017/18 winter season at Bretton Woods, Cannon, Cranmore and Waterville Valley. $979. before May 31. New England Pass: Includes unlimited access to Sunday River, Loon, and Sugarloaf. $1,099. before April 30. Peak Explorer Pass: Unlimited days at Mount Snow, Attitash, Wildcat, Crotched, Hunter, Jack Frost and Big Boulder, along with discounts on retail, lodgings and activities. $599. until April 30. Four.0 College Pass: This is for the full-time college student who wants unrestricted access to Okemo, Mount Sunapee, Killington and Pico at a price that fits a student’s budget. Includes resort-specific benefits. $369. through August 31. 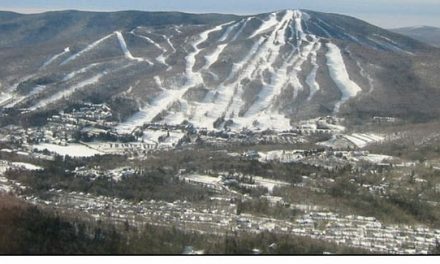 Vermont Travel Club Card: Get varying discounts at 11 Vermont ski resorts plus Sunday River. Individual cards are $54., Family cards (up to 5 members) are $179. The MAX Pass: The MAX pass advertises five days each at 44 mountains with zero blackout dates. 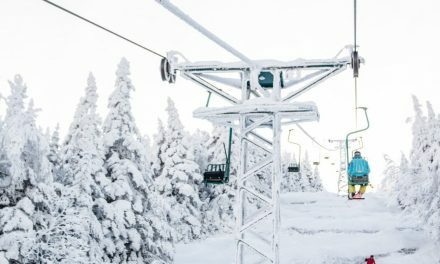 You can find the full list here; this year their new offerings include Belleayre Mountain, Gore Mountain, Granite Peak, Lutsen Resort, Whiteface Mountain, and Windham Mountain. You can buy the pass outright for $629. through May 1. But if you have a season pass at one of the 44 mountains, you can buy a MAX pass add-on for just $329. The web site has a handy calculator that tells you the savings you’ll get by using the MAX Pass. Mountain Playground Card: I don’t have a price on this one yet, but this year, the $29. card got you great deals at a variety of smaller, community-oriented ski hills. You also got deals with brand partners, and helped benefit SheJumps, a non-profit geared toward increasing the participation of women and girls in outdoor activities. More details on the ’17/’18 season to come in the Fall. To find out more, go here. The addition of Belleayre, Windham, and Gore is a boon for those of us in the mid Atlantic, and it easily swayed my decision to ditch the Peak Pass and go for the MAX next year. Great write-up!